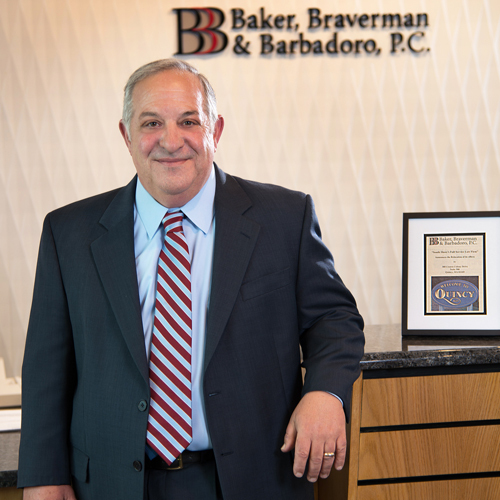 Paul Barbadoro is a founding partner of the firm. For over 30 years, Paul has represented clients in litigation, criminal defense and election law. Paul’s litigation practice includes contract litigation, real estate litigation, personal injury litigation, and probate litigation. He routinely represents clients in District and Superior Court, Land Court, Probate Court and before administration agencies such as the Appellate Tax Board and the Housing Appeals Committee. Paul is also an experienced criminal defense attorney. He is a former Assistant District Attorney in Norfolk County, where he prosecuted hundreds of felony and misdemeanor cases. Paul heads the Election Law practice at the firm, which assists candidates and committees in all phases of election law, including recounts, campaign finance regulations and voter registration issues. Paul has lectured in the areas of civil procedure and trial advocacy at several law schools and for the Massachusetts Continuing Legal Education program. He is an appointed member of the Board of Governors of Quincy College, where he previously served as an adjunct professor instructing on litigation and civil procedure. Paul and his wife Beth live in Braintree, MA. They have three grown children and three grandchildren. Paul enjoys gardening, golf and travel.